Fredy Perlman's 1968 Introduction to I.I. Rubin's "Essays on Marx's Theory of Value", Black Rose Books, Montreal, 1973. Marx's explanation of the phenomenon of reification, namely of the fact that abstract labor takes the "form of value", is no longer in terms of people's habits, but in terms of the characteristics of a commodity economy. In Capital, Marx points out that relations among people are realized through things, and that this is the only way they can be realized in a commodity economy: "The social connection between the working activity of individual commodity producers is realized only through the equalization of all concrete forms of labor, and this equalization is carried out in the form of an equalization of all the products of labor as values " (Rubin, p. 130). This is not only true of relations among capitalists as buyers and sellers of the products of labor, but also of relations between capitalists and workers as buyers and sellers of labor-power. It is to be noted that in the commodity economy, the laborer himself is a "free, independent" commodity producer. The commodity he produces is his labor-power; he produces this commodity by eating, sleeping and procreating. In David Ricardo's language, the "natural price of labour" is that price which enables laborers "to subsist and perpetuate their race",(48) namely to reproduce their labor-power. The worker sells his commodity on the labor market in the form of value, and in exchange for a given amount of his commodity, labor-power, he receives a given sum of value, namely money, which he in turn exchanges for another sum of value, namely consumer goods. 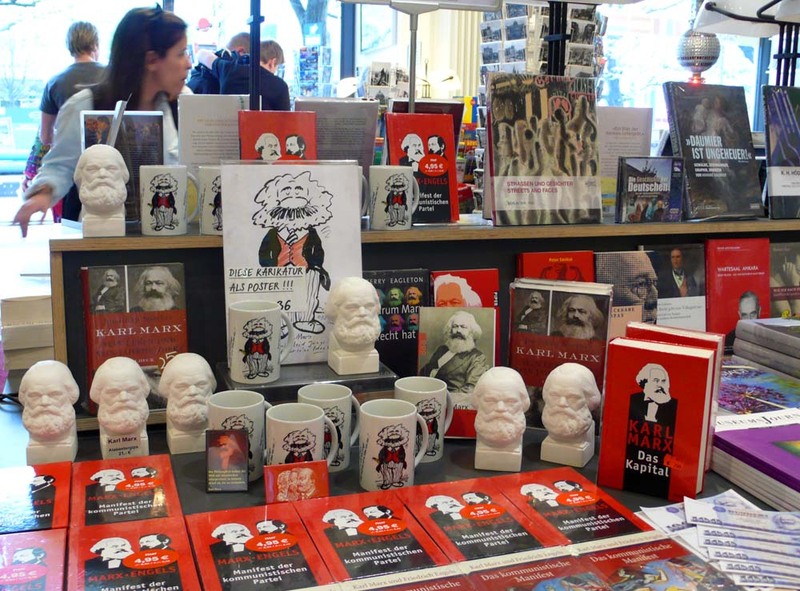 ... for Marx, alienation is inherent in the social relations of capitalist society, a society in which one class appropriates the labor which another class alienates; for Marx, wage-labor is, by definition, alienated labor.